Click each picture to see a larger version. 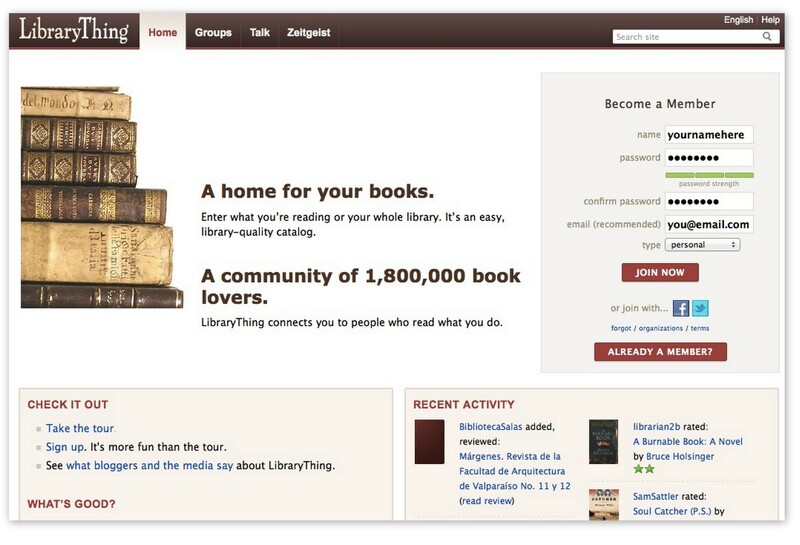 Sign up for LibraryThing on the home page. All you need is a member name and password to become a member. Accounts are free to start and can be personal or organizational. Pro-tip: We recommend adding an email to your account for password retrievals. Your Home page reviews top features, news, and updates on the site, all in one place. Follow your friends, interesting libraries, and recent updates you've made to your books with Connections. 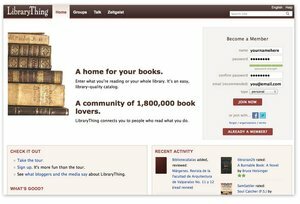 View book Recommendations from LibraryThing and fellow members. 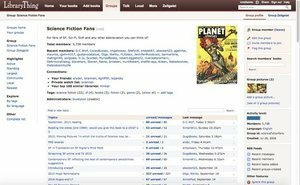 Explore the wealth of data LibraryThing has to offer: Reviews, Stats/Memes, and much more. Pro-tip: Customize your Dashboard with your favorite modules. Your profile describes you and your library, highlights members with similar libraries, and lets you keep up with your friends' recent activity. Edit your profile to write about yourself and your library, and upload pictures to your Member Gallery. Leave public or private Comments on each other's profiles. Customize your Account Settings to share as little or as much as you want. 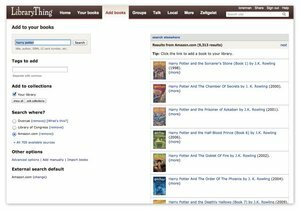 You can add books, music, movies, and other media to your library! Use LibraryThing's iPhone app or a CueCat barcode scanner to enter your books quickly. Change your Add books data source in the Search where? section. You can also manually add your books or import them with Universal Import, Goodreads Import, and MARC Import. 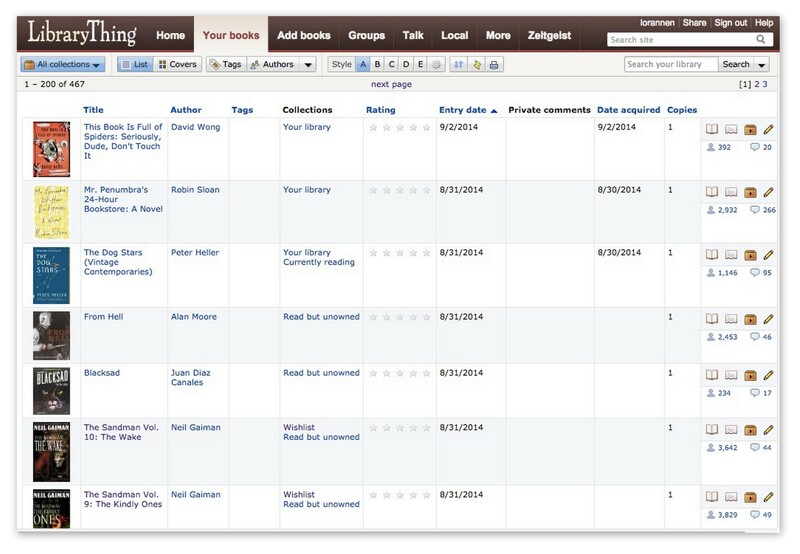 Pro-tip: Show "quick edit" to add and edit tags, ratings or reviews of the book right after you add it. 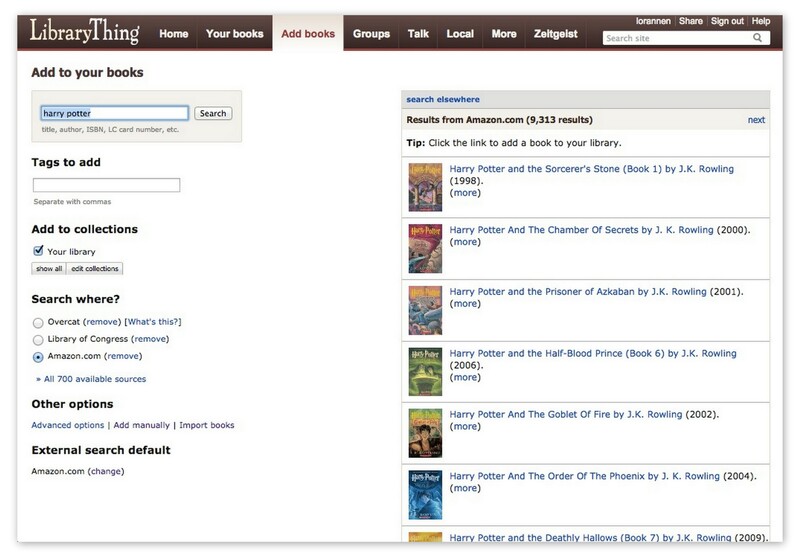 Sort, edit, and search all of your books, music, movies — this is your entire catalog, shown in list or cover view. Create and edit collections with the Collections drop-down menu. 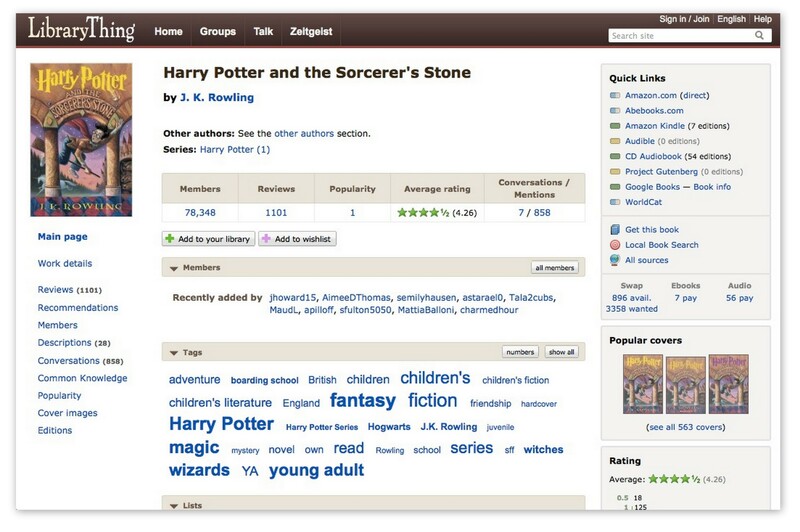 Explore special stats and utilize features for your library with the features drop-down menu. Customize up to 5 display styles for your books by clicking the Settings button. 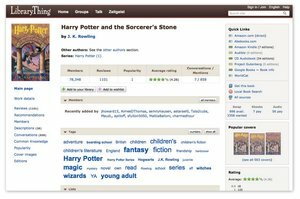 Use PowerEdit to edit several books at the same time. Use Search syntax to filter specific fields (e.g. Titles, Tags, Reviews), or use the drop-down menu for Advanced searches. 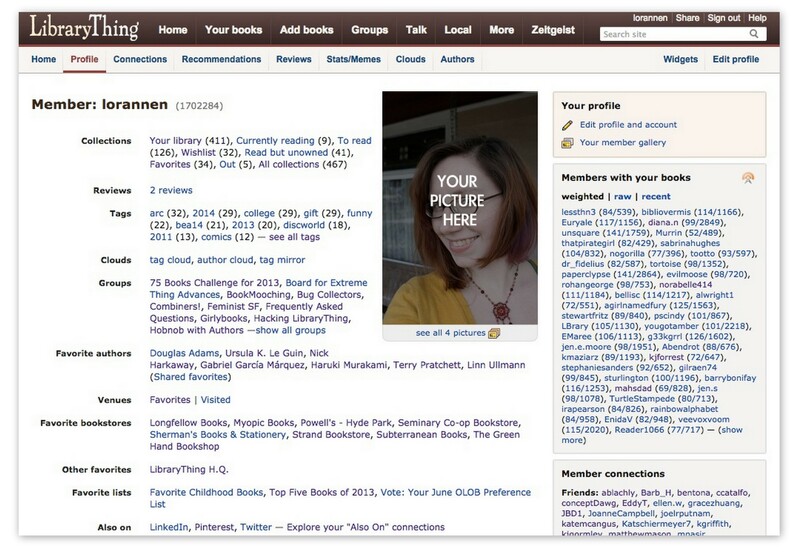 Pro-tip: Check out LibraryThing's TinyCat to turn Your books into a real online catalog for friends and patrons! 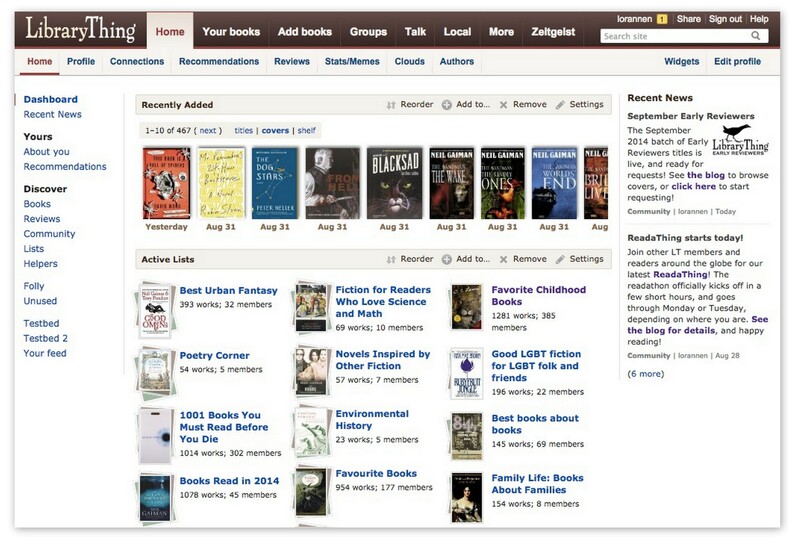 Each book you catalog gives you your own book page and connects you to other members owning the book through the overall work page, with library-quality data for your books. 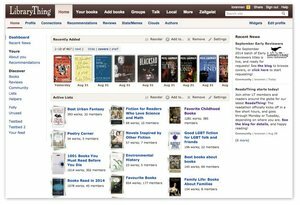 You also have access to author pages for each work, with interesting information about the author, events for them on LibraryThing Local, and books they've written. 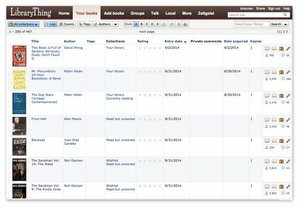 Use Edit your book to add or edit your review, rating, tags, and more. Click Change cover to upload your own cover, or choose from existing covers. Browse or edit Common Knowledge facts on work and author pages. Groups bring members together through Talk forums. Groups can be made by any member for a club, a place, a subject, or even a private group just for friends. "Watch this group" to keep tabs on a group without actually joining it. Pro-tip: Add Touchstones, surrounding single or double square brackets, to your Talk posts. You can link to either [work] or [[author]] pages, which helps you find the conversations that interest you most. 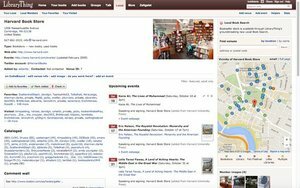 LibraryThing Local connects you to your local bookstores, libraries, etc.—and to all the bookish events that they host! All members can add venues and events. Click the icon in "Your local" to edit your account's public and private locations. The star will add your favorite venues to your profile page. Pro-tip: Click the star next to an event to indicate your interest in attending—you can even see if other members are attending the same event. Integrate your Facebook/Twitter pages and more through Sites and Applications. Look at all of your Import/Export and account options. Stock up on tools for your library and LT swag in our Store. Get Free Books through Early Reviewers and Member Giveaways! See Frequently Asked Questions or contact us.